A transistor is a semiconductor component used to work as an electrical switch and/or to amplify current, allowing the current flowing through it to be controlled by an electrical signal. The researchers' inkjet-printed transistor is sensitive enough to accurately detect electrophysiological signals from the skin when used in conjunction with a wearable device. In the virtual environment, for example, the tracking of subtle eye movements by electro-oculography is needed for a better, more realistic depiction which relies on, for example, depth of field rendering. Compared to other thin film technologies such as silicon or metal oxides, the transistor's power consumption is one thousand times less and the signal-to-noise ratio one hundred times better. The results, reported in the journal Science, demonstrate the potential of using low-cost inkjet-printing technology to directly integrate biomaterials with electronics, in order to create new applications at the forefront of the electronics-biology interface, such as the tracking of eye movements in virtual and augmented reality. "This is the first time such a high performance printed transistor has been achieved that demonstrates good reliability over several months, without changing characteristics," said Dr. Chen Jiang, the paper's first author, formerly from the Electrical Engineering Division of the Department of Engineering. "This transistor improves upon typical organic transistors that have a lower level of reliability of just a few days or even a few hours." In 2018, Dr. Jiang was awarded the IEEE Electron Devices Society Ph.D. Student Fellowship to promote and support electron devices research. Dr. David Hasko, the paper's co-author from the Department of Engineering, said: "This application demonstrates a further example of how it is possible to fabricate a whole circuit using just a single, highly affordable, inkjet printing tool that puts a fabrication plant within reach of most university departments. It would be an excellent way of introducing, for example, design rules and micro-fabrication in a practical way." Professor Arokia Nathan, the former Chair of Photonic Systems and Displays in the Department of Engineering, who led the research, added: "The outcome of this research is very exciting. A close-to-ideal performance of largely design-rule independent transistors and circuits is the quintessential demonstration of how to achieve a low power, high signal resolution analogue sensor interface using low-cost, simplistic printing technologies." Professor Nathan is now an entrepreneur managing his own high tech start-ups. Professor Manohar Bance, Chair of Otology and Skull Base Surgery, University of Cambridge and Honorary Consultant, Cambridge Universities Hospitals Foundation Trust, said: "This technology represents a major step forwards in efficiently and accurately measuring biological signals. The future will include real-time measurement of signals from many biological systems and their incorporation into monitoring real-time motor assistance and diagnostics. 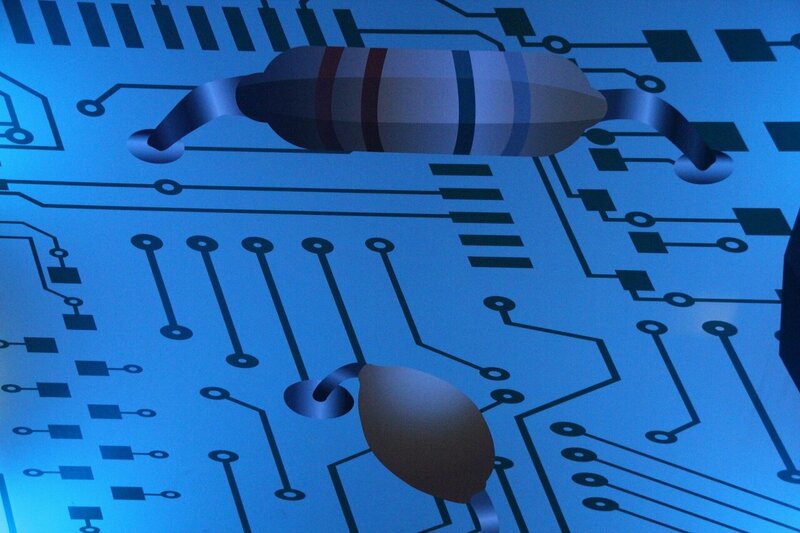 The interface between biology and electronics is a fundamental area to develop to realise this future."